Party’s Deputy Administrative Secretary, Alhagie S. Darboe who also doubles as the NAM for Brikama north argues President Barrow to recognize the fact that he comes from UDP and should not allow anything to come between him and the party. He made this remark at the Gunjurr mass rally in Kombo South on Saturday. He said President Barrow should be mindful of those who are telling him the UDP has done this and that. Adding that they know the power they hold in the government and nobody can tell them what to do. Hon. Darboe said his party will consider President Barrow as an enemy if he continues to back his Youth Movement because that group sees the UDP as an enemy and as such anyone who supports it including Barrow will be considered as an enemy of the UDP. 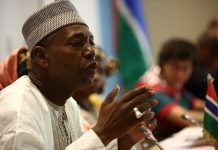 He stressed that the National Development Plan (NDP) is not the only agenda of President Barrow citing that Barrow has his own political agenda. Darboe said he advised Barrow that he is a transitional president and he should stay away from politics and focus on the national development. 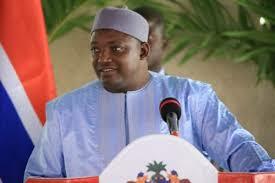 He alluded that Barrow said his relationship with the leader of the UDP Ousainu Darboe is cordial. Darboe said if his relation with the party leader is good then there is a problem between him (Barrow) and UDP. He noted the UDP can never hate Barrow adding that nobody can take ownership of the Coalition government and those who hold positions in the UDP should know that they are operating under the party’s principles.